Hearing is a very complex mechanism. It involves the tympanic membrane (eardrum), three very small bones (ossicles), and the inner ear nerve apparatus (see diagram). The tympanic membrane is a very thin membrane about half the size of a dime that is located at the end of the ear canal. Just beyond the tympanic membrane are three bones called ossicles; specifically, they are named the malleus, incus, and stapes. When sound waves enter the ear canal, the tympanic membrane vibrates. This transmits the sound energy through the ossicle bones to the nerve in the inner ear. This signal then travels from the inner ear to the brain, where it is perceived as sound. Disruption of the ossicular bones will lead to significant hearing loss. 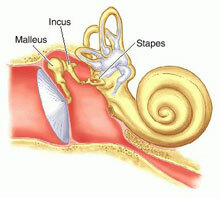 Although an interruption of the ossicles will not cause complete deafness, the hearing loss can be quite substantial. One of the causes of an ossicular problem is a congenital defect, in which the person was born with the middle ear bone abnormality. Other more common causes include cholesteatoma, chronic ear infections, and head trauma. A cholesteatoma is a benign (non-cancerous) cyst, which can grow and occupy space within the small confines of the middle ear. In doing this, it can destroy the ossicles. 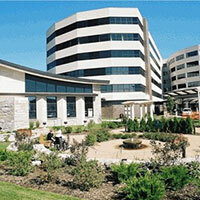 Please see the separate cholesteatoma page on our website. Chronic infection in the middle ear can similarly cause damage to the ossicles. It is felt that the pus and bacteria sitting in the middle ear for such a long time eventually causes erosion of the middle ear bones. Lastly, head trauma can lead to fracture or dislocation of the ossicles in the middle ear. Any of these problems will prevent the ossicles from transmitting the sound energy to the middle ear. Some patients are candidates for a middle ear exploration or ossiculoplasty, which is an operation to reconstruct the middle ear bone(s). 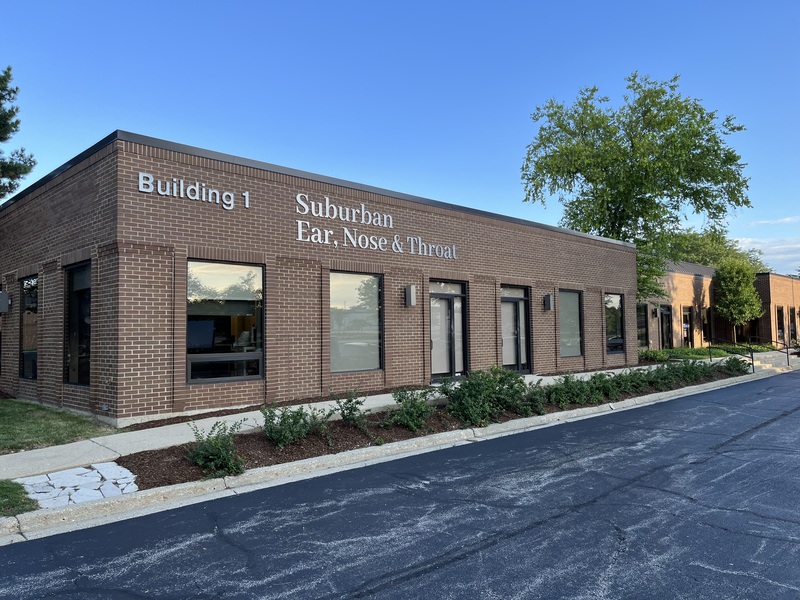 The goal of this operation is to improve the hearing. Not all patients with hearing loss are candidates for this procedure. It is specifically for patients with a conductive hearing loss due to an ossicular problem. The operation is done under general anesthesia using a microscope to magnify the tiny middle ear bones for better visualization. Sometimes, a small prosthesis is inserted into the middle ear space to act as an artificial ossicle. If there are associated problems in the middle ear such as chronic infection or cholesteatoma, the ossiculoplasty can be performed in conjunction with other ear operations such as tympanoplasty and/or mastoidectomy. Patients undergoing a middle ear exploration are generally discharged home on the same day.